People often ask us how they can start a career in UX. If they don’t have opportunities to practise UX in their current role, making the switch can seem difficult. Just where do you start? 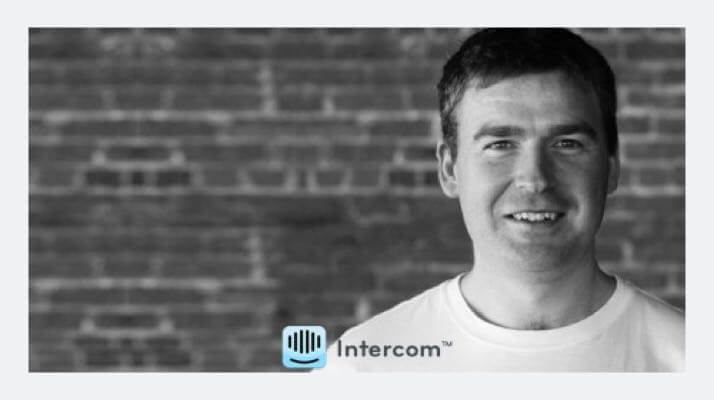 Des Traynor, co-founder of Intercom, has worked in UX and software development since the early noughties. He shared his expertise on how to get a job in UX in one of our blogs a couple of years ago. It’s packed full of practical advice to help you get ahead so well worth sharing again. “UX has broadened and matured so much, there are specific parts to it. It’s like accounting. There are general accounting principles just like there are general design principles. But tax accounting is quite different to Mergers and Acquisitions work. “Ten years ago, there was just one area. If you knew UX, you knew UX. Whereas today, UX is a blurry mesh of different things. “So I don’t think it’s actionable to say ‘I want to get into UX.’ You need to pick what it is you want to focus on. I think it’s actionable to say, ‘I want to get into UX research’. Because then it’s like, ‘Okay: you need to learn ethnography, you need to learn how to interview, you need to read things like jobs to be done’. 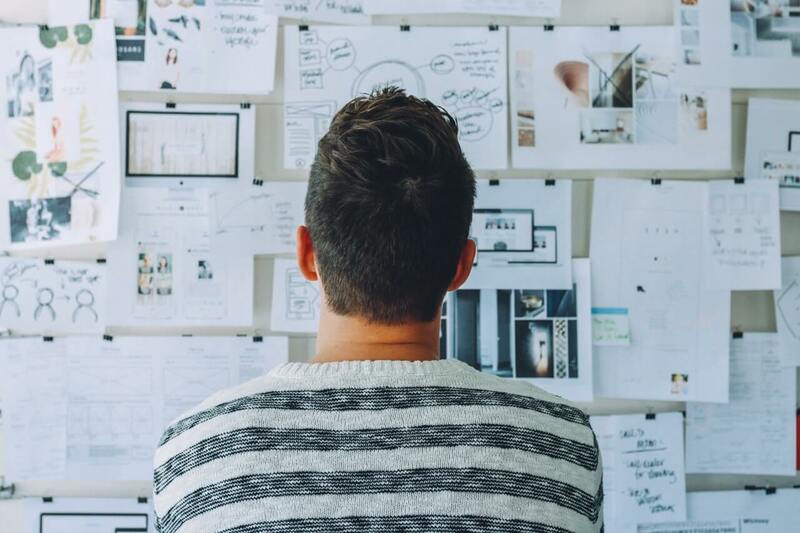 “UX research is one viable career path. You spend your time talking to customers and feeding back information to the product team. That’s important work and it’s really valuable. Everything a product team does should be guided by deep research. “Then there are designers at what I broadly call the product and interaction level. 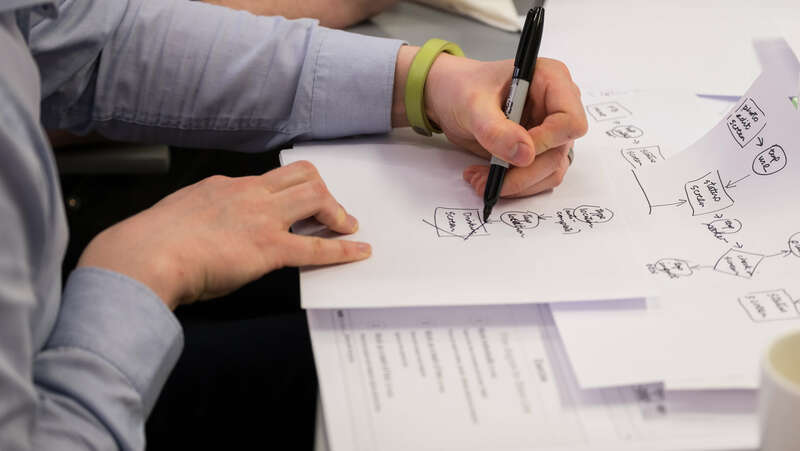 They look at real workflows and decide interactions and micro-interactions like ‘How do you add a teammate?’ or ‘How do you start a project?’ They’ll come up with five or six different versions of interactions that will work. “And that’s a different type of designer to a researcher. Fundamentally different. The output is usually ugly, bluntly. Because at this point, we’re not worried about precision and pixels. “Decide which of these is your specialty. Are you a detailed person? Then look at interaction and UI design. If you’re bigger picture, then maybe you need to look at the research end of things. “By big picture, I mean being able to understand what we need to work on. Can you keep the whole software system in your head at once and identify the weak and strong areas? The exact opposite to that type of thinking is somebody who’s brilliant at refining a precise screen but often might not understand the screen’s value strategically. “It’s strategic design really. You’re balancing multiple sources of data. What our customers are saying, what are competitors are doing, the state of the current product, the speed at which we can develop. You have so many different inputs. “With visual design, some people can really go for the flourish. And, alternatively, what makes some designs really impressive is their moderation. Like Basecamp. It is designed but it’s not gorgeous, everything works really well but it’s not over the top. “On the flipside, you have the likes of Spotify which is heavily designed. And design is part of the company’s value proposition. “You have to decide which sort of designer you want to be. It’s rare you’d be good at both ends of the spectrum. Somebody who gets thousands of likes on Dribble probably might not be the right fit for designing a government website. Or a banking website. “The way you can get a job is by showing how you can improve bad software. And the best way to get good at this is by practice – there are good books, and they’re worth reading – but you have to go and do it. There’s a fundamental difference between comprehension and application. “So you should build animated prototypes that show improvements to existing interactions. These are often called ‘unsolicited redesigns’. People take terrible software and show how it can be way better. The world is full of crap software which is why most consultancies are in business (so it shouldn’t be hard to find something to work on). “You won’t know bad software until you’ve designed it. And then your improvements will be obvious. And it’s a good time to reach out to mentors or even just start a blog and throw your solutions out there. I’m reminded of that quote: ‘The best way to get the right answer on the internet is to post the wrong one’. “A software background can be a real strength. So much of what’s valuable in application design these days is prototypes. If you have a background that lets you understand how to build something quickly, then that’s what you should be doing. “UX designers will be messing around with Keynote or Omnigraffle trying to make something look animated. But if you have an understanding of HTML, you can just build something that works. There are great prototyping tools which save so much time compared to wireframing every case. “Every good software project is a combination of three things: good technology, good user experience and good business principles. That’s what Bill Buxton calls BXT – business, experience, technology. “If you come from a BA or MBA or project management background, you’ll be very strong on the business side of things. If you want to get into the design side of things, you need to repeat your business research and ideas on the user side. “The big shift is to stop being so inward facing with your thinking. It’s not even thinking about markets and what the market wants, it’s more like what are the tasks people are trying to do and how can we innovate there. “A 15-year-old visual designer can post stuff on Dribble and if he’s clearly good, then he’s clearly good. Let’s hire this guy, he can obviously design. “You can still do it, though. The way I got approached by a previous employer, iQ Content, was because I would publish design critiques: here’s a website, here’s what doesn’t work about it, here’s some changes I would make, here’s a simply improved version, here are the benefits. “Have a blog. A blog is a form of CV. Especially for UX people – a lot of it is how your write and how you think. “People often confuse a blog with a personal diary or think there’s no point having one if I don’t have 10,000 readers. Whereas, in reality, where a blog is most useful is if you’re applying for a job, people will Google you. If they find your blog, and like what they read – if it makes sense, it’s well considered and well written – you’re already +1 in their book. “A good application process is one that assumes nothing about what a good candidate would look like. Asking for formal qualifications isn’t smart, in fact most of the best designers I know have none. A good application process is a design challenge, open to anybody. “A simple challenge would be something like ‘Here’s a piece of a product. Design a different way this could be done’. Next article User research – what’s tomato ketchup got to do with it?